First stop: Mumbai! | Walk with us! A typical residence near a mission attached to the SCJs’ parish in Thane (Mumbai). Fr. Tom Cassidy’s first stop in India was with the SCJ community there. It is always a bit disconcerting landing in a strange city (though this is actually my second visit to Mumbai) and expecting a ride, hoping nothing goes wrong. Happily, Fr. Aji was there to greet me. When all was said and done it took us about an hour to get to our SCJ house (less than 14 miles from the airport). Even though we left the airport after 10:00 p.m. there was a lot of traffic on the road. Mumbai, like many mega-cities, is one that never sleeps. On the way to our house Fr. Aji asked if I would be willing to be main celebrant at the 7:00 a.m. parish Mass. It would make for a short night but I would probably be awake anyway so I agreed. I stayed in a house just in front of the parish that belongs to an elderly gentlemen who has been very generous to the Priests of the Sacred Heart. The elderly gentlemen, whom they call “Uncle,” is in the hospital recovering from surgery. I had the chance to meet him this morning as the hospital is only a half a block from our house. The SCJs came to India around 1994 and began in the state of Kerala, the most Catholic area of the country. We came at the invitation of the bishop of Cochin, who knew Bishop Joseph DePalma. I believe they knew each other when the bishop was our superior general. The SCJs have since expanded to other parts of the country. The main work at present is formation given this is one of our newest foundations. From the very beginning there was the idea to find ministries in the north, or at least north of the states of Kerala and Andhra Pradesh. 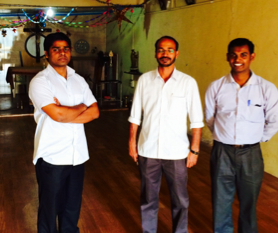 About two years ago work began on securing a presence in the Mumbai area, and as of 2012 the SCJs were tasked with staffing the parish of Divine Mercy in Thane (next to Mumbai), along with its attached missions. I was told this is the third parish SCJs now staff in India. Divine Mercy has about 500 families. 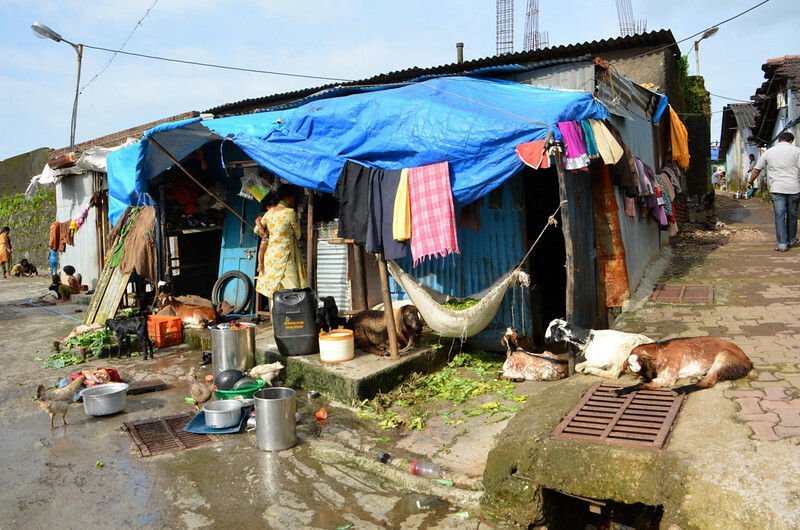 The vast majority of parishioners are migrants to Mumbai who have come to look for work. As a consequence, the parish is multi-lingual and multi-cultural. Mass is celebrated in Hindi, Malayan, English and I believe sometimes in Tamil. Many parishioners are poor, though certainly not all. As Catholics they are a very small group. Hindus are the majority here, followed by Muslims. There is a large Muslim community not far from the parish. Tension between religious factions ebbs and flows. I don’t want to make this entry too long so let me close by introducing the three members of the Divine Mercy Parish. In the middle is Fr. Aji, the pastor. He worked in Mumbai as a deacon before we were given the parish and is assisted by Fr. Abraham, standing to the left of Fr. Aji. On Fr. Aji’s right is Alex, who is finishing his regency and will be ordained a deacon on February 1, 2014.